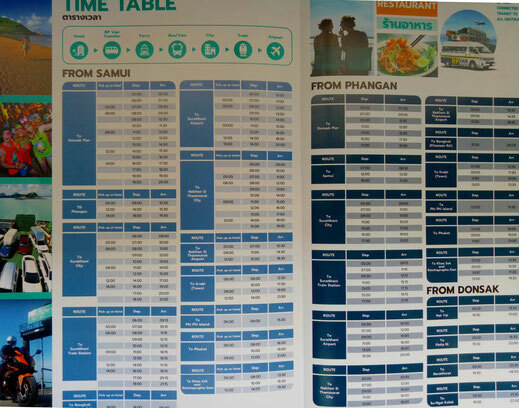 Here you find the topical schedules of departure of the different ferries on Koh Samui. 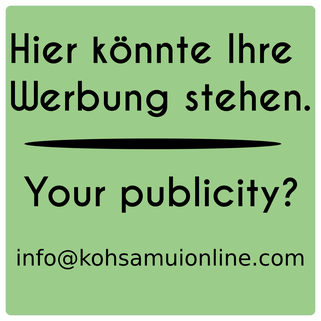 Get to know like you come from Koh Samui to Koh Phangan. 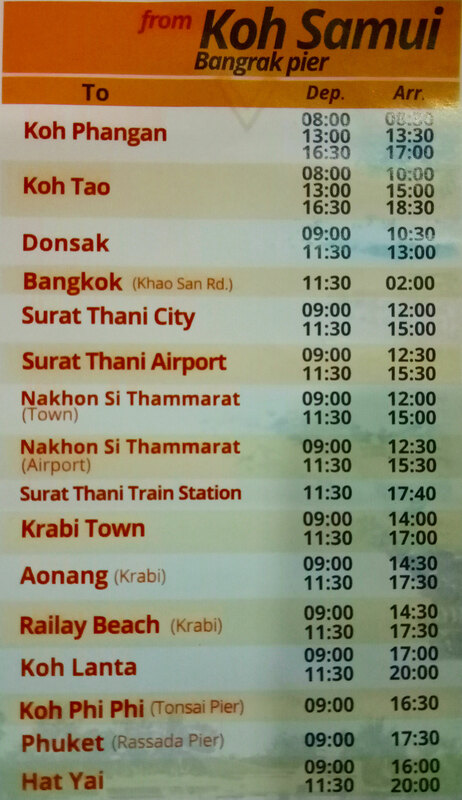 All Thai Hotspots reach with the ferry. Some of the ferries offer an airport transfer to the airport of Surat Thani. The harbour of Big Buddha is the smallest on Koh Samui. Is not a real harbour like you imagine. 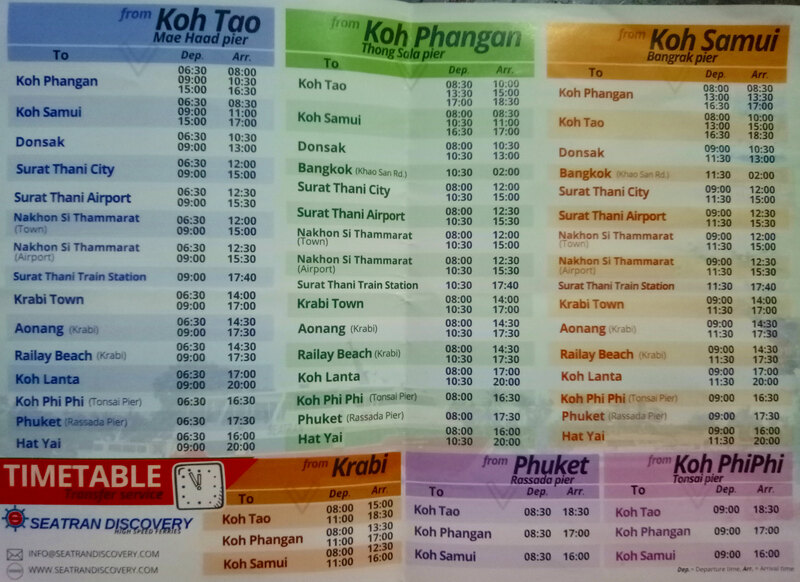 From here you come on the direct way to Koh Phangan. You not will arrive at the harbour of Koh Phangan, but directly in the known Haad Rin Beach. 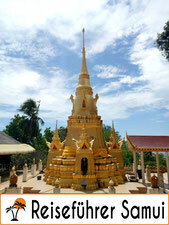 Here takes place, once a month, the full moon party. 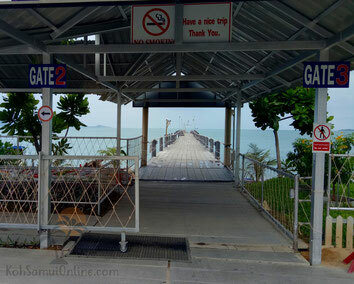 Many use this harbour to go to the full moon party and drive to Koh Samui the next morning. The ticket costs 200 Baht. 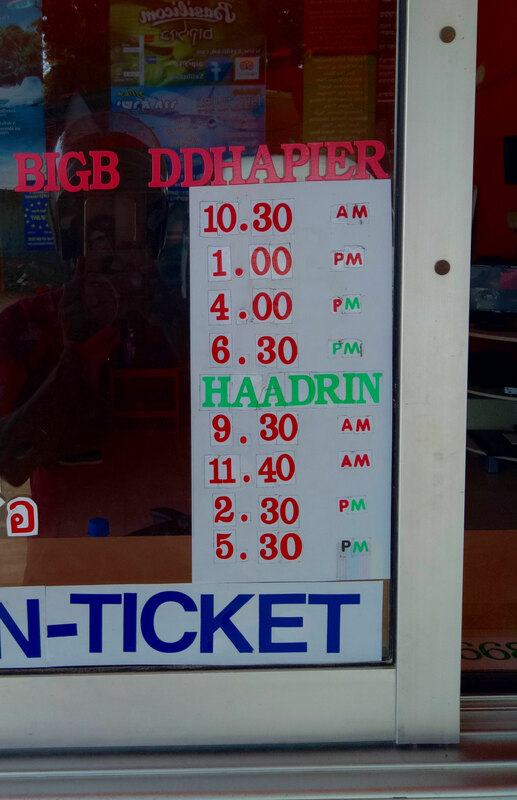 If you had to pass to Haad Rin Beach anyway, you save on this way the taxi costs from the harbour of Koh Phangan to the Haad Rin Beach. The journey does not take long and you can see from the harbour already the mainland on Koh Phangan. Here is also worthwhile a day trip. The Lomprayah harbour lies directly beside the Seatran Ferry harbour in Nathon. This is the most expensive harbour, but also the quickest and most modern ones. Lomprayah goes with catamaran boats. 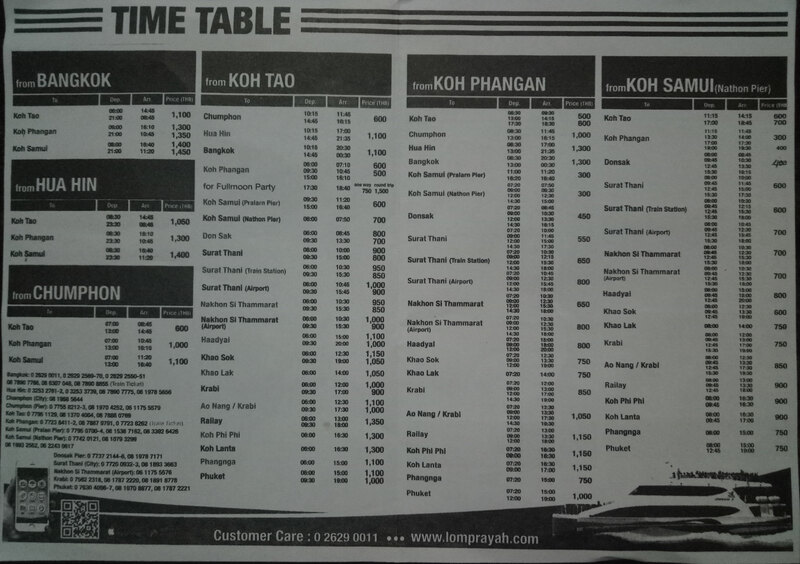 For example, one pays to Koh Phangan with Lomprayah is 300 Baht, with Raja Ferry only 130 Baht. 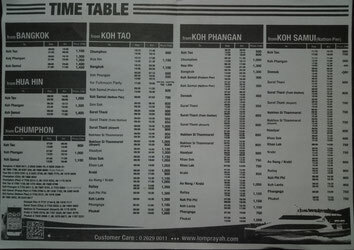 To who, 300 Baht are not too much expensive, we would recommend Lomprayah. The boats are quick and it gives pleasure. 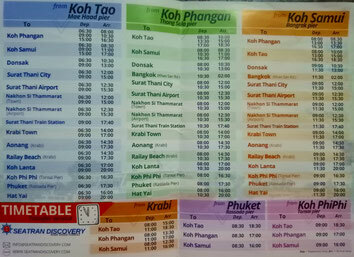 Besides, there are only 3 harbours the drive to the wonderful diver's island Koh Tao. Lomprayah is one of it. As for the rest one gets with Lomprayah everywhere. Throwing a look in the schedules of departure and look where your next destination will be. This is the second, a little smaller harbour, from Lomprayah and is located in Maenam. As usual from Lomprayah, here you goes with catamaran boats. 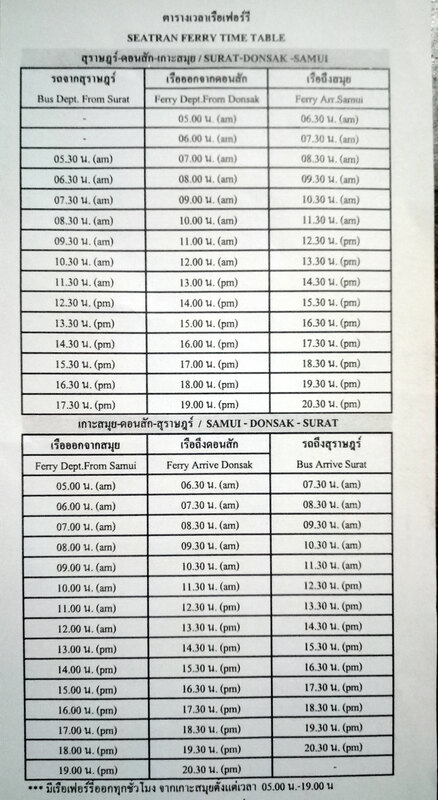 Raja Ferry is one of the cheapest harbours, but one of the oldest also. 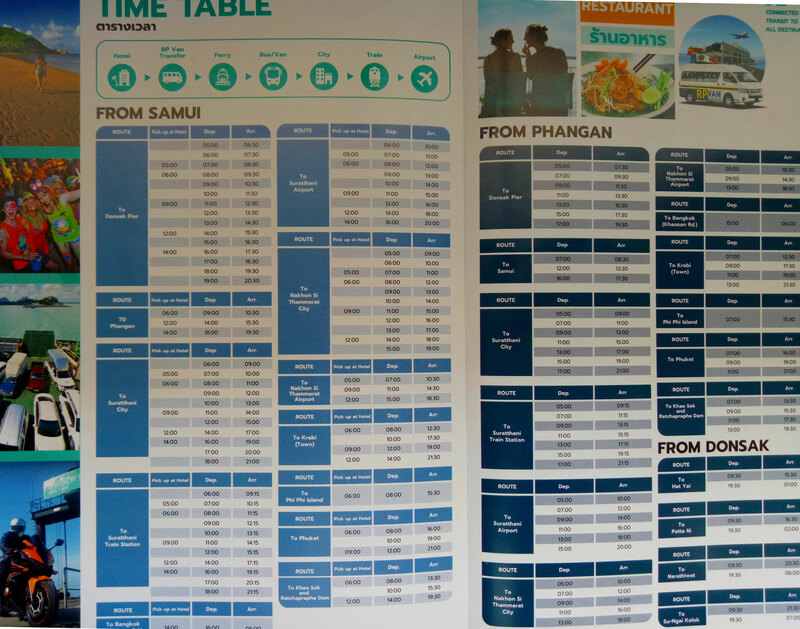 Good in the Raja Ferry port is that you can also take your vehicle. 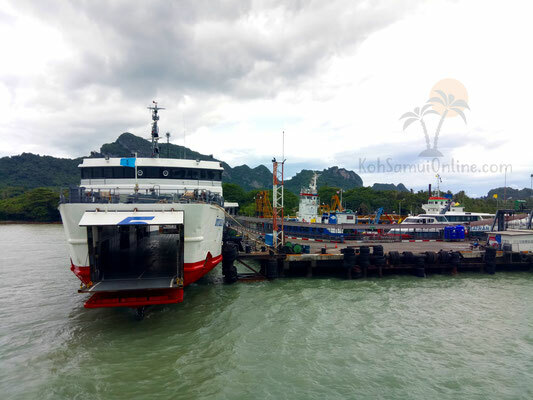 If you want, for example, visit for a few days from of Koh Samui to Koh Phangan, you can take the scooter with this ferry. Should you plan this, it respects a passport to take. You must deliver one to be able to rent a scooter. Since without passport you can book in the most cases no hotel or bungalow. Should you be in twos, the problem would have already taken care. 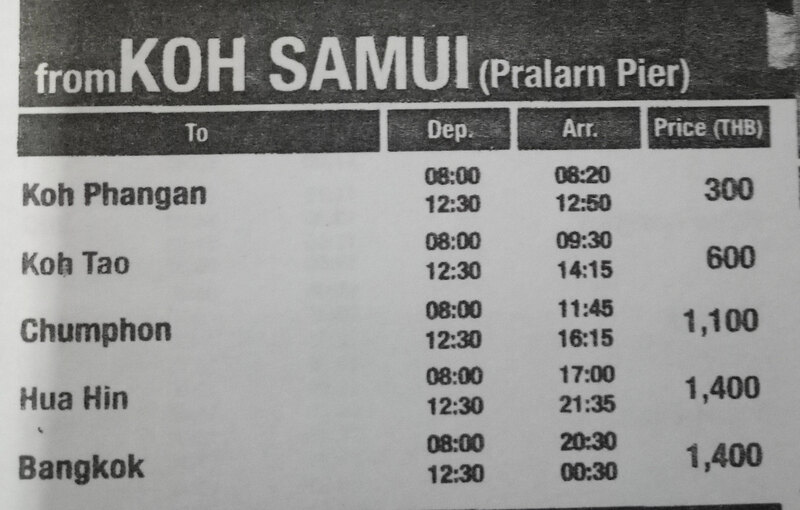 Because the scooter rent on Koh Phangan is a little bit more expensive than on Koh Samui. 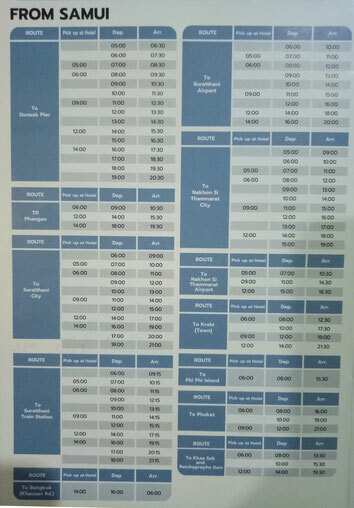 Here you pay 250 Baht per day. 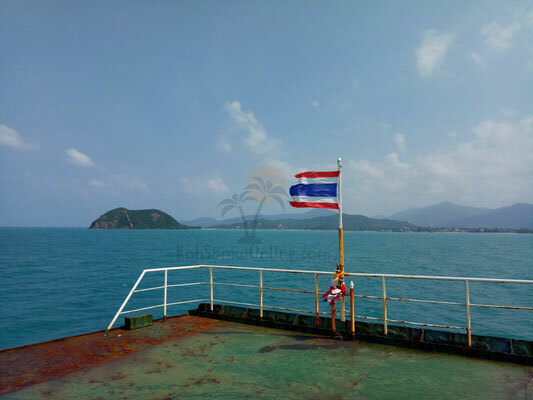 From the Raja Ferry port you come to Koh Phangan, Surat Thani Train Station, Donsak, Surat Thani Airport, Nakhon Si Thammarat, Krabi, Phi Phi Iceland, Phuket and also to Bangkok to the Khao San Road. 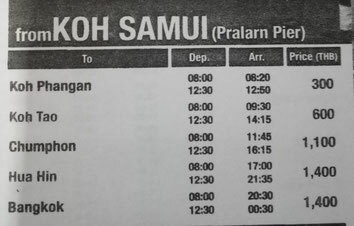 Seatran Discovery is the second harbour on Samui that has stand Koh Tao on his schedule of departure. Also these boats are a little bit quicker and have all important destinations on the schedule. The pier lies in the district Bang Rak and is not far remotely from the airport of Koh Samui. Also here the boats are a more modern and quicker. 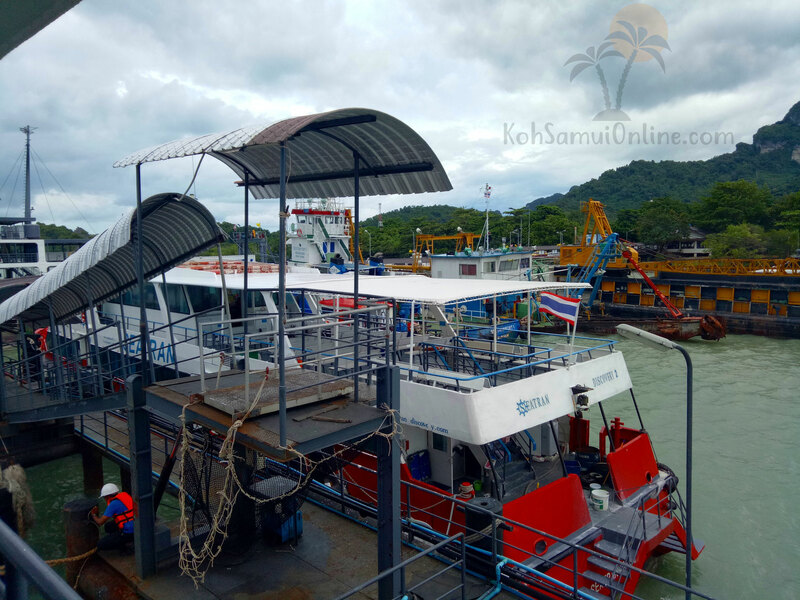 The harbour of Seatran Ferry drive only for the mainland (Donsak) and for Surat Thani, which is used almost only by locals. 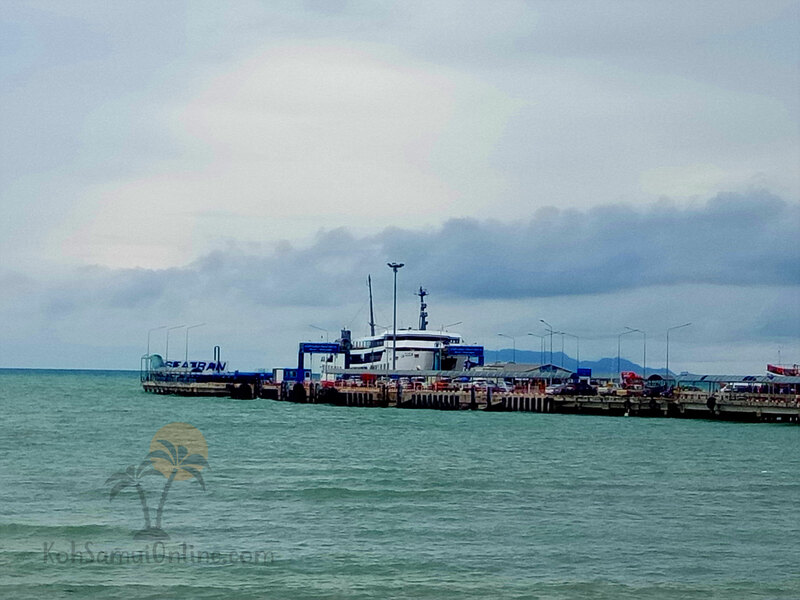 Should you plan a trip to Surat Thani, I would recommend you this harbour, because is the quickest and the cheapest. What is interesting in the Seatran Ferry harbour, is the airport transfer to the airport of Surat Thani. This costs here only 250 Baht and is according to my last update the cheapest on Koh Samui.